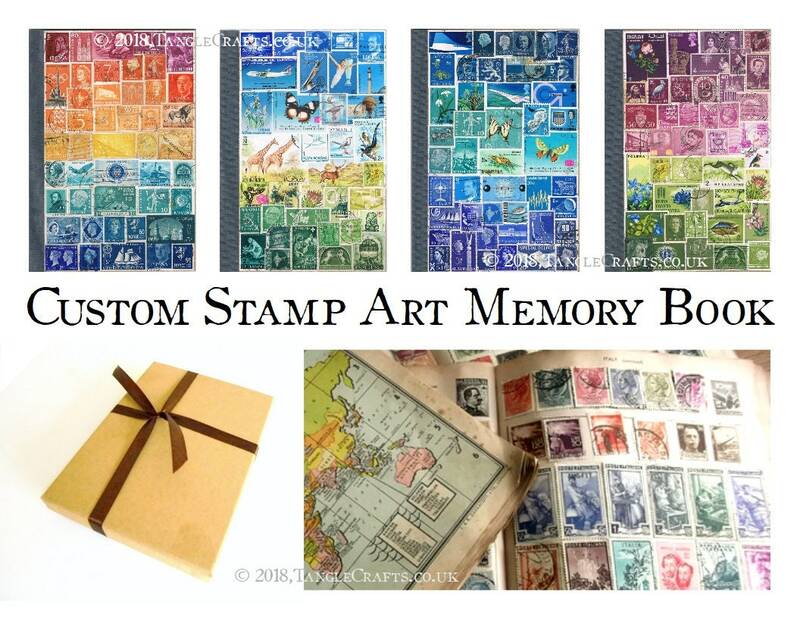 Choose this one of a kind postage stamp journal - complete with gift box - to commemorate your paper anniversary, or almost any special occasion. Store the memories of your first year together, or your first trip together, or any other adventure. 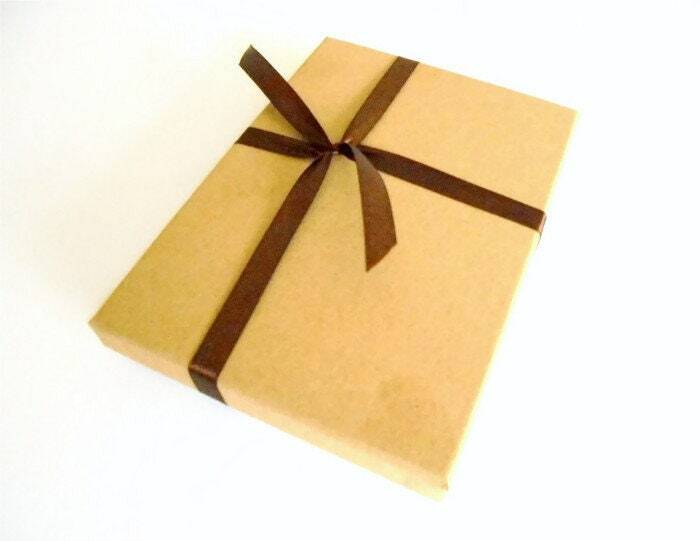 The perfect gift for the very special writer in your life! 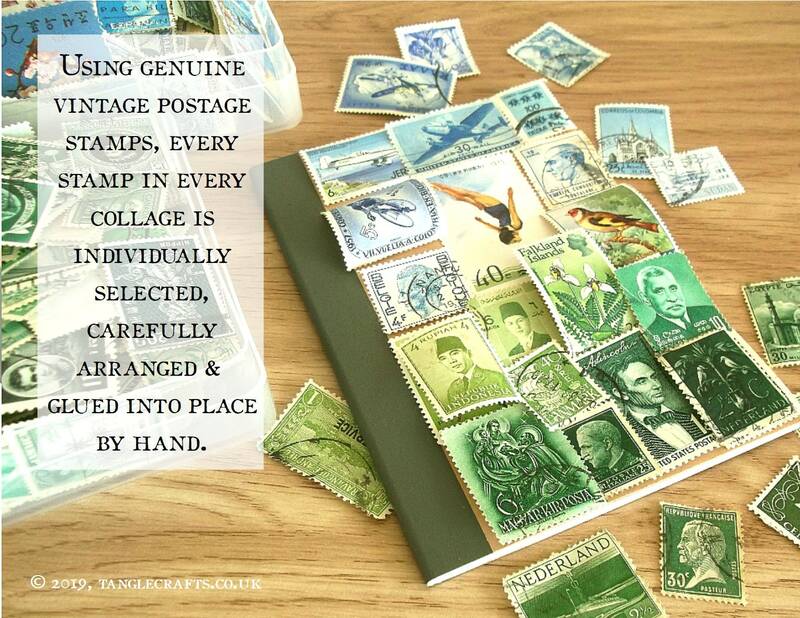 A one-of-a-kind notebook will be collaged just for you, using either an eclectic selection of world stamps, or with stamps from a country or region that holds special significance to you - perhaps family history, or honeymoon memories, or recapturing any connections you like. 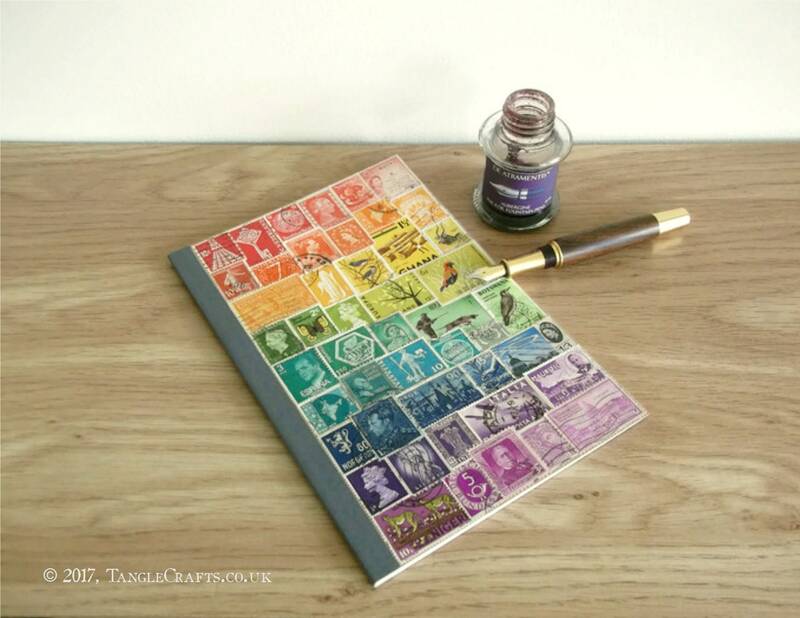 With a wonderfully eclectic, bohemian feel, travelling through time and across continents, this journal encapsulates so many untold stories and faded colours that it cannot help but capture the imagination! 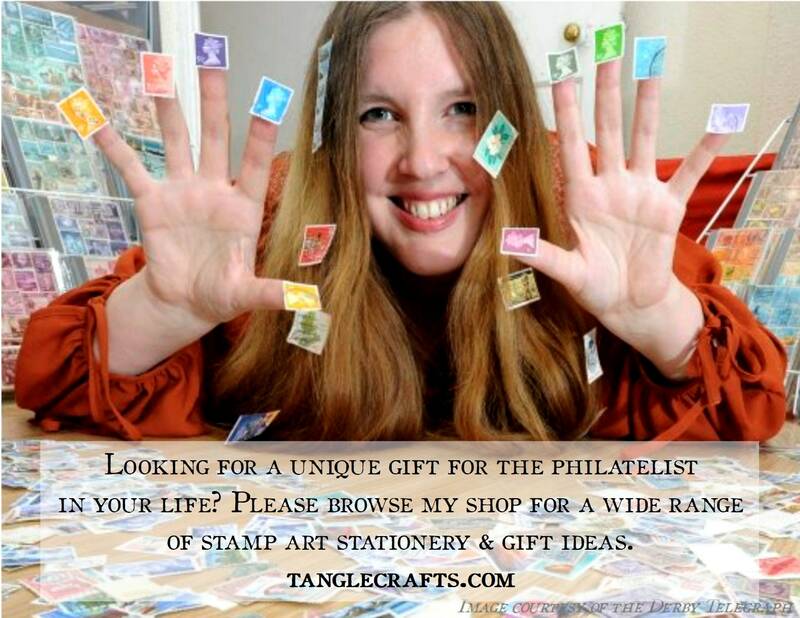 **Please note, some options may not be possible, depending on available stamps when particular countries are also specified. If this is the case, I will contact you following purchase to explore alternative options. Please convo me at any time if you would like to clarify what is possible. 3. 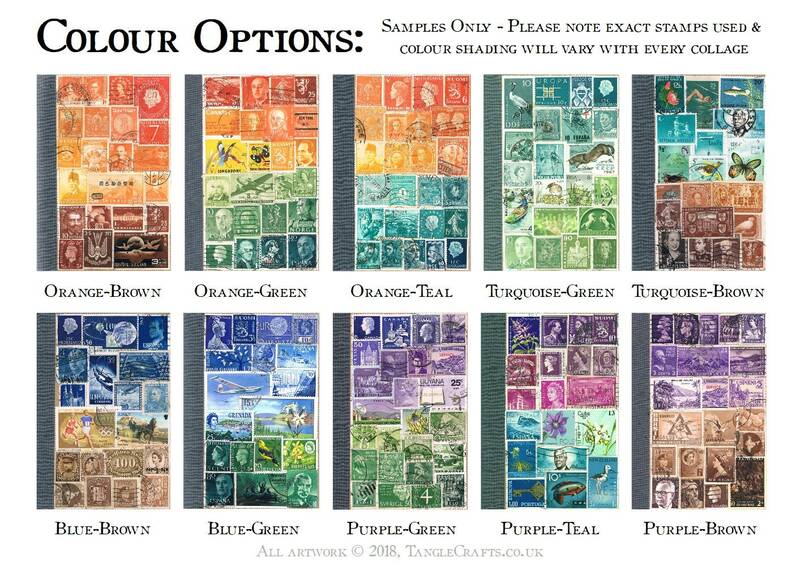 Custom combination - leave a note at checkout specifying 2 colours from: red, orange, brown, moss, green, turquoise, blue, purple, heather/magenta. 4. Any combination specified in the drop-down list - will be collaged with 1st colour at top of cover, blending down into the 2nd colour at bottom. **Please leave a note at checkout with your choice as listed within the following options. 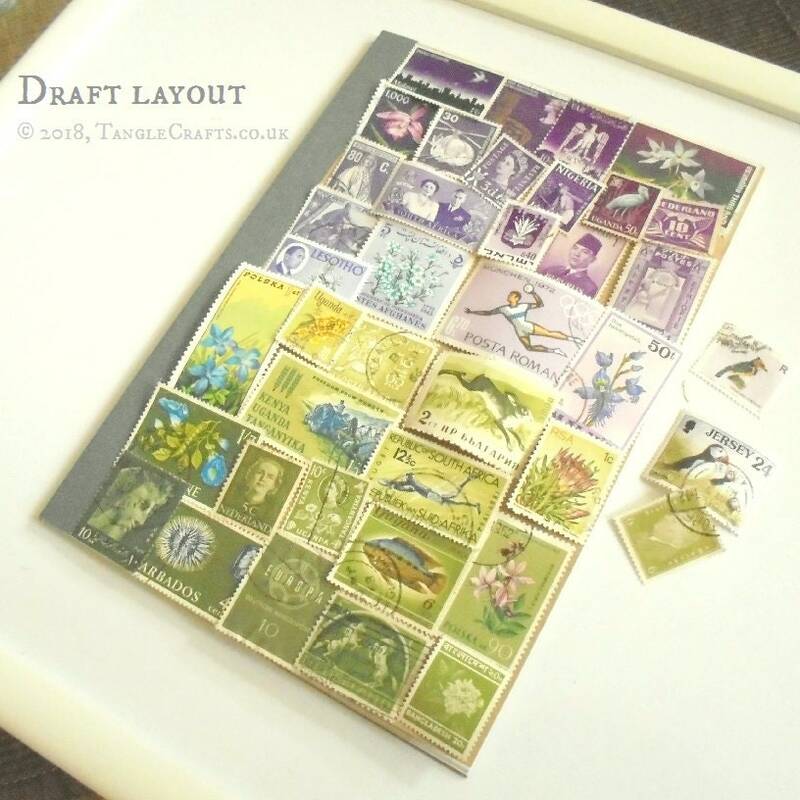 The price increases depending upon which & how many different countries you would like included in the collage, due to additional sorting (& sometimes sourcing) required. 2. World mix + 1 - as above, but you may specify a single country you would especially like to be included. 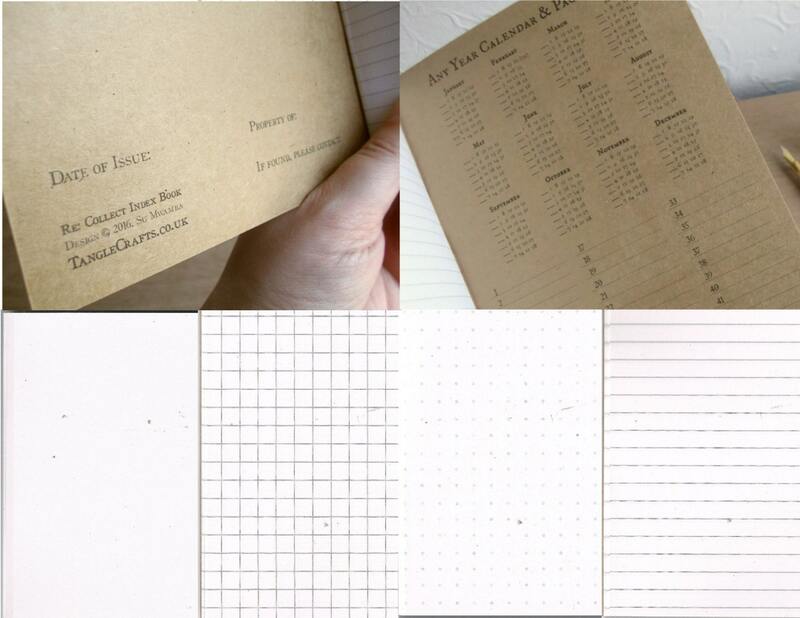 I will make sure a handful (5-10) from your specified country are scattered throughout the collage. 3. Up to 5 countries - please specify 2, 3, 4, or 5 countries, from any region. 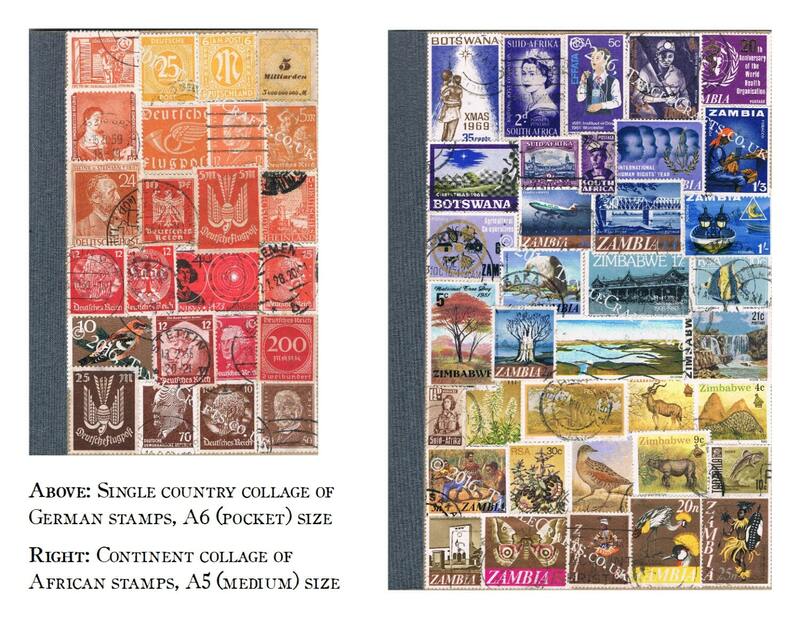 The mix of stamps used from each country will be as even as possible, but will vary depending upon availability. 4. 1 country only - please specify your chosen country. Specific colour options may not be available with this regional choice, but I will let you know if your request is not possible. 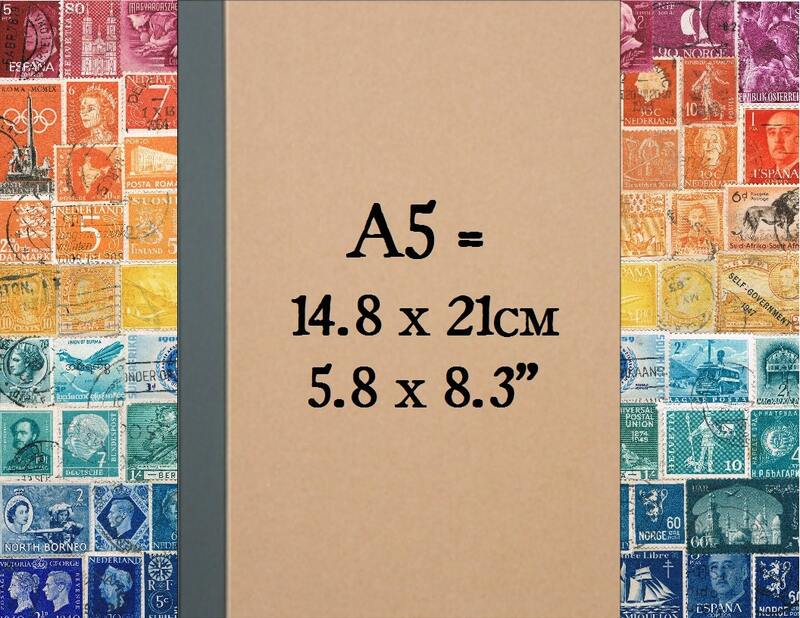 The postage stamps used will date from a wide range of periods, from the early 20th century up to the 1970s (or thereabouts). Still bearing fragments of postmarks and other cancellation marks as a testament to their former active service for worldwide postal services, they provide a real sense of history. Framed artwork is also available - please ask if you would like me to create something special, just for you!